Why the heck do I need to transpose? WHERE DOES TRANSPOSITION COME FROM? 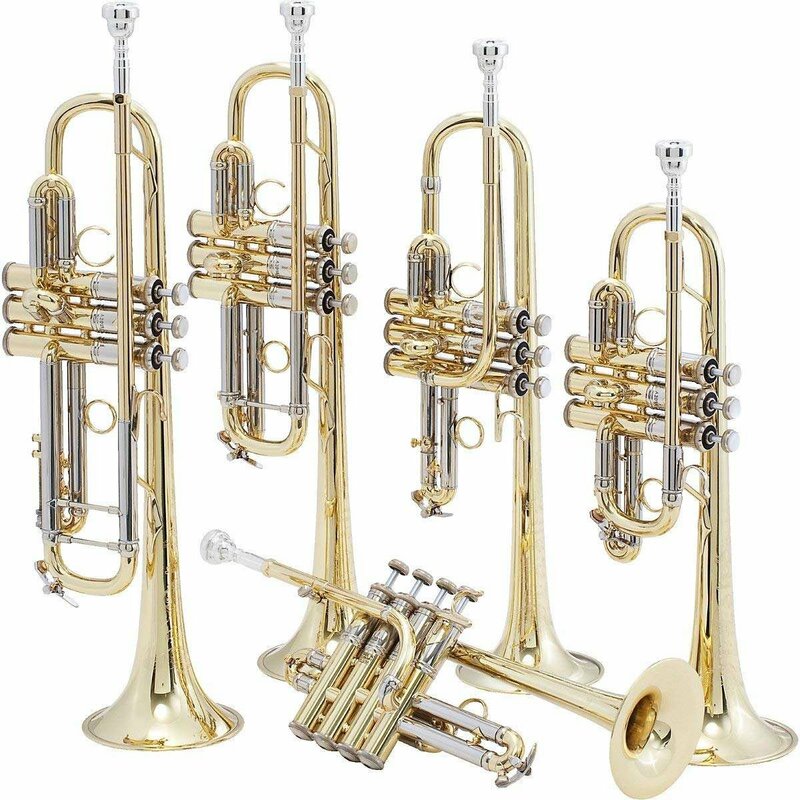 Trumpets come in all sizes - which means they also come in all sorts of different keys. 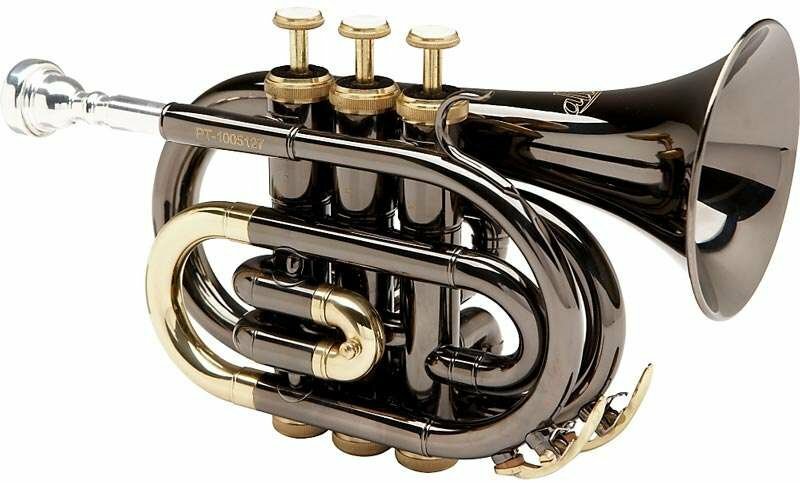 As a beginner or intermediate trumpeter, you’re most likely playing a ‘Bb’ trumpet at the moment. If you continue your trumpet studies, you’ll eventually have a chance to play a ‘C’ trumpet, perhaps an ‘Eb’ trumpet, and one day even a ‘Bb’ piccolo trumpet. What’s so different about all of these trumpets, you may ask? In a nutshell: size. And its ‘size’ that helps explain why transposition exists. The smaller the trumpet, the higher notes you can play. A Bb piccolo trumpet, for instance, is about half the size of a normal Bb trumpet and plays a full octave higher. And what’s truly amazing about all of the different types of trumpets is that you can use the same exact fingerings for each one. We just think this pocket trumpet is fun . . .
Isn’t it cool to know that if you wanted to play a different type of trumpet you wouldn’t have to learn anything new? Save for transposition. That’s the one unfortunate byproduct of this system. SO WHAT EXACTLY IS TRANSPOSITION? If you wanted to play a duet on your Bb trumpet with a flutist, a ‘C’ instrument, you’d quickly find that you’re not playing the same notes. In fact, you’d be a whole step apart. The resulting sound might be strange, perhaps even interesting, but not correct. One of you would need to transpose. Either the flute player would have to read each written note a whole step down, or the trumpet player a whole step up. The same would be true if you walked up to a piano and tried to match each note. A concert C on the piano is the same as a written D for the Bb trumpet, and vice versa. To put it simply, if you play a written C on your trumpet music, you’re actually playing a concert Bb. I'M STILL A BIT CONFUSED. WHAT DOES ALL OF THIS MEAN FOR ME? USE A TUNER. Pick any note on your trumpet, and see what shows up on your tuner. Use the tuner like flash cards. Begin guessing the note you’re playing in concert pitch before glancing at your tuner. SCALES AND KEY SIGNATURES. There’s a pretty awesome rule for transposing scales on Bb trumpet - add two sharps to whatever concert key you’re asked to play. For concert C Major, add two sharps and you’ll end up with D Major on your Bb trumpet. The same is true for flat scales but in reverse. For instance, in Eb Major, remove two flats and you’ll end up with F Major. All this to say, it’s incredibly important to understand transposition when playing with other musicians. If you ever hear a conductor ask for a ‘concert’ note, that means you’ll need to transpose correctly to play along with everyone else. 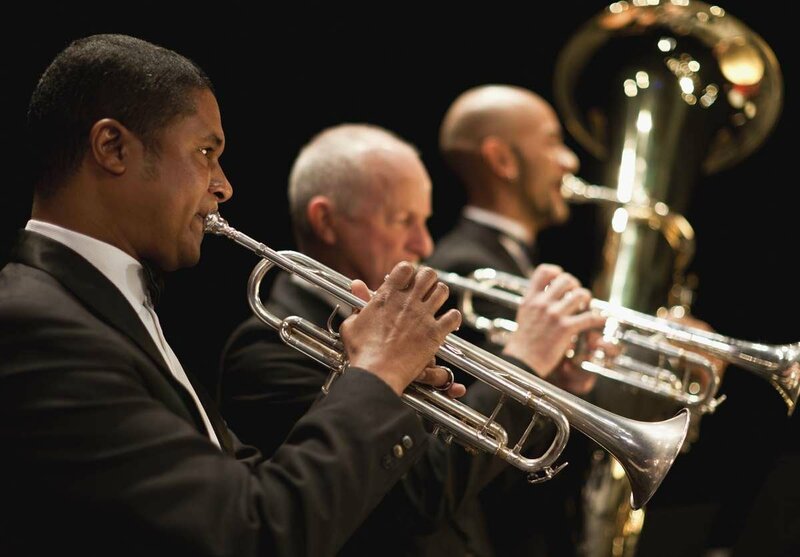 This may seem like a difficult concept to grasp, but we guarantee that with just a tiny bit of practice you’ll get the hang of it - especially if you get to play with other trumpeters. And rejoice, beginning trumpet players, because many other instrument families follow these same rules. You’re not alone! Hopefully by now you’re not as intimidated by transposition. If you’d like additional resources on how to play the trumpet, you’ve come to the right place. MusicProfessor offers 100s of online Trumpet lessons taught by one of the best instructors in the US. Get access to multiple years worth of trumpet instruction for less than the cost of a single private lesson.